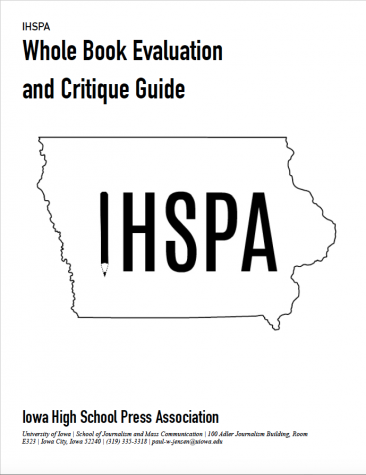 The IHSPA Fall Yearbook contest is upon us once again! No additional changes to the contest have been made since last year, aside from the alterations made to the Evaluation and Critique Guide. However, these changes do not affect the contest entry process. To enter the competition, click here. 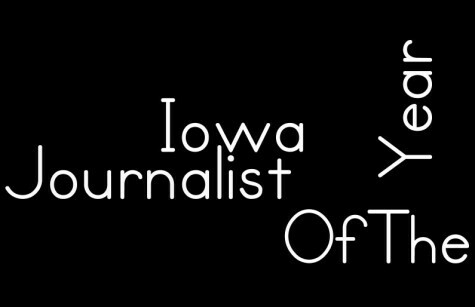 Once on the Better Newspaper Contest website, select contestant login and locate the 2018 IHSPA Fall Yearbook Contest (Iowa). The deadline for entering the contest has yet to be determines, but it will be in late August, as usual. 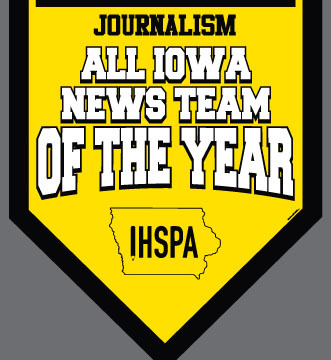 All students are permitted to enter the contest, provided their school is an IHSPA member school. Each publication may enter up to five examples of work for each category. This does not include the Cover/Theme and Reader Services entries, of which there may only be one per school. Entries may be from individual students, or they may be completed by groups, and they must all be submitted online as PDF documents. While some students may be entering into multiple categories, each entry must be submitted separately. 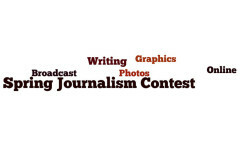 Photo entries should be submitted with only the photo and the caption used in the layout. All entries must be from the previous academic year. Schools are divided into three classes, based on enrollment size. The contest is divided this way with schools only competing against the other schools in their same size category. IHSPA has a specific system for determining each school’s size class, so please indicate your school’s total enrollments for grades 9-12. These numbers will be compared and divided into the three classes as evenly as possible. 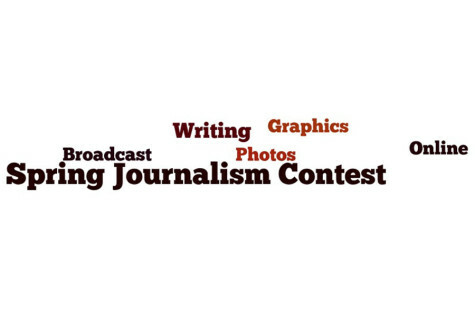 Judges are encouraged to award 1st place, 2nd place, 3rd place, and honorable mention awards in each category. There is a $1.50 entry fee, which is applied per entry. The minimum number of required entries to participate is 20, so the minimum cost for the competition is $30. The maximum number of entries is 92, which would total $138 in entry fees. Upon completion of the entry form, you will be directed to the IHPSA site to generate a bill for your entries and IHSPA dues. 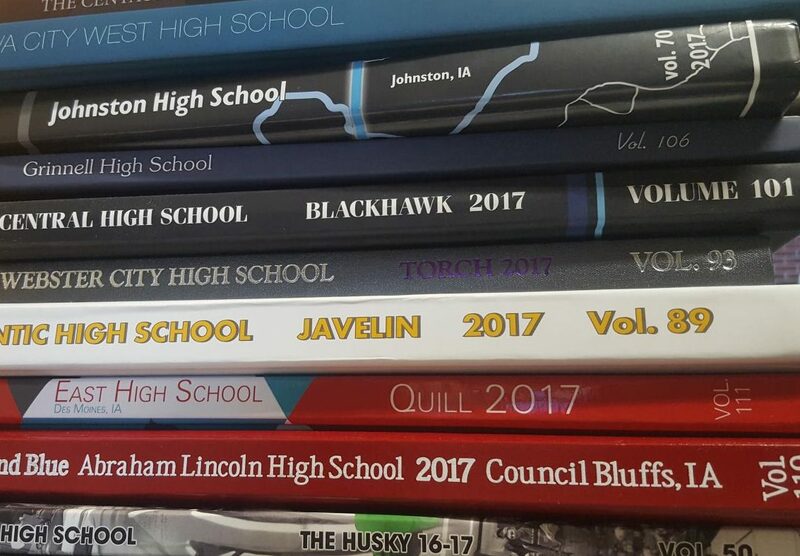 While costs do go with the number of entries, it is highly encouraged for schools to submit as many entries as possible to increase their chance of winning Yearbook of the Year. 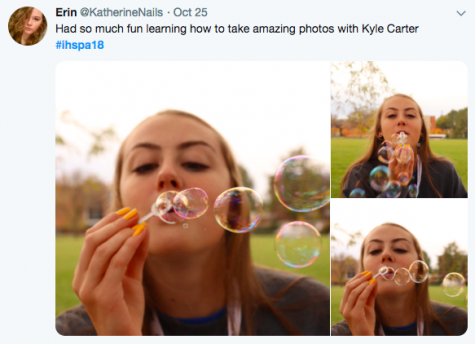 Feature photo with caption / student life, school related Enter photos that tell a story. The emphasis is on capturing people living their lives, so do not enter posed photos. Subject area encompasses school events, academics and organizations. Use photo techniques like framing, leading lines and low or high angle. The photo demonstrates good exposure and shutter speed. Include a caption. Feature photo with caption / student life, out-of-school related Enter photos that tell a story. The emphasis is on capturing people living their lives, so do not enter posed photos. Subject area encompasses student life out of school. Use photo techniques like framing, leading lines and low or high angle. The photo demonstrates good exposure and shutter speed. Include a caption. Environmental photo / caption Enter photos that show the personality of a person/group of people. The emphasis is on portraying the essence of the individual/group. Most likely, this will be done by posing the subject/s in an environment that helps tell the story. Use photo techniques like framing, leading lines and low or high angle. The photo demonstrates good exposure and shutter speed. Include a caption. Sports action photo / caption Enter photos that tell a story. The emphasis is on action so do not enter posed photos. Use photo techniques like framing, leading lines and low or high angle. The photo demonstrates good exposure and shutter speed. Include a caption. Sports feature photo / caption Enter photos that tell a story. The emphasis is on reaction to what has occurred in a sporting event, so do not enter posed photos. Use photo techniques like framing, leading lines and low or high angle. The photo demonstrates good exposure and shutter speed. Include a caption. Story / student life, out-of-school related The story goes beyond reporting facts to highlight an interesting angle. Subject matter encompasses out of school angles. Several sources and ample use of direct quotes bring robustness to the story. Include the headline. Story / student life, school related The story goes beyond reporting facts to highlight an interesting angle. Subject matter encompasses school events, academics, organizations or sports. Several sources and ample use of direct quotes bring robustness to the story. Include the headline. Personality Profile The story goes beyond reporting facts to highlight an interesting angle about a person. Several sources and ample use of direct quotes bring robustness to the story. Include the headline. Sports Story The story goes beyond reporting facts to highlight an interesting angle about a school sport. Several sources and ample use of direct quotes bring robustness to the story. Include the headline. Infograph /Mod Communicates interesting information in an alternative form to story writing. Entries could include charts, fact boxes, quote boxes, maps, question/answers, polls, step-by-step, how-tos and more. Photo Illustration The illustration tells a story. Any item that uses photo manipulation qualifies. Cover The cover introduces the theme, which fits the school and the particular year. The design uses visuals that embody the theme catch phrase. The entry must be student-created work. 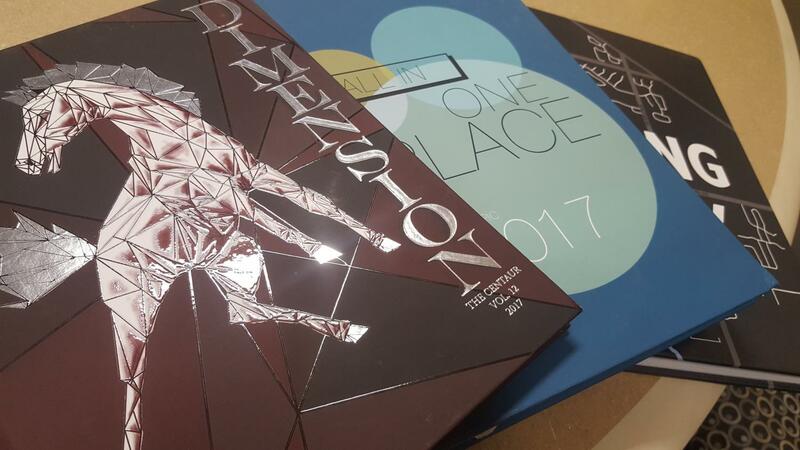 Theme Include the cover, the front and back end sheets, the opening spread and one division spread. The theme fits the school and the particular year. 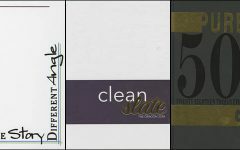 The cover introduces the theme. The theme carries over to the end sheets and the opening and division spread. This must be combined into a single PDF. Design / Opening, closing or division spread The spread presents information in an organized way. It showcases the theme. and includes feature coverage in the form of photos/captions, stories and/or infographs. The layout represents a marriage of words and visuals and uses white space effectively. Design / summer to December events The spread presents information in an organized way. It showcases any event in students’ lives and includes feature coverage in the form of photos/captions, stories and/or infographs. The layout represents a marriage of words and visuals and uses white space effectively. Design / January to June events The spread presents information in an organized way. It showcases any event in students’ lives and includes feature coverage in the form of photos/captions, stories and/or infographs. The layout represents a marriage of words and visuals and uses white space effectively. Design / Mugs The spread presents information in an organized way. It showcases mug shots and includes feature coverage in the form of photos/captions, stories and/or infographs. The layout represents a marriage of words and visuals and uses white space effectively. Total Package Total package spreads will be judged on the following criteria. Winning entries will use a combination of these elements to tell the story. Adverting Advertising Includes business advertising and senior tributes. The layout uses typography, photos and graphics to bring attention to the business or individual. Reader services The book uses devices that help readers locate information. Submit the table of contents, title page, colophon and one spread from the index. Page folios will be considered in conjunction with the index spread. 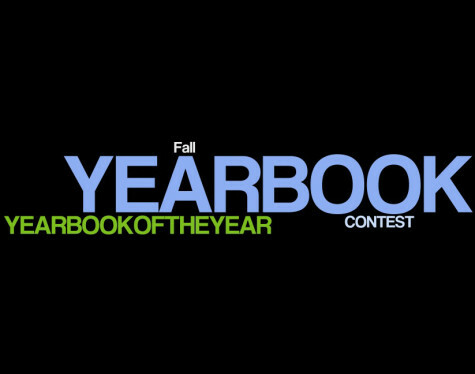 All schools participating in the Fall Yearbook Contest are automatically entered into the Yearbook of the Year competition. As mentioned above, each category in the Fall Yearbook Contest will be judged for 1st, 2nd, and 3rd place, and honorable mentions. For each of these awards, the publication/school will receive points. The school with the most points in each class will win Yearbook of the Year for its class size. 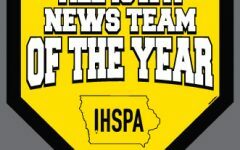 For questions about the contest, IHSPA membership, or payment, contact Paul Jensen at [email protected] or 319-335-3318.